Haynes has joined forces with the Scout Association (who better?) to create this hands-on, inspirational manual for enjoying the great outdoors, whether hiking for the day or camping in the back of beyond. 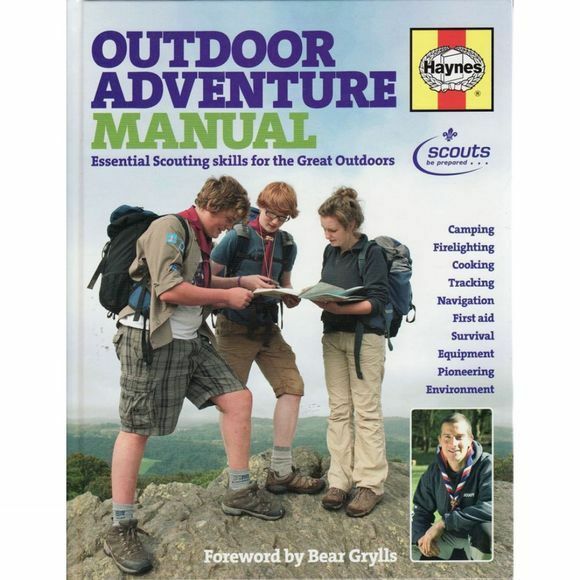 Featuring step-by-step guides to a range of key backwoods skills such as trekking, navigating, camping, firelighting and cooking, backed by hundreds of colour photographs, this is the ultimate introduction to outdoor skills for families and anyone wanting to get out there . A brief history of the great outdoors and an introduction to scouting. The world around you: geography, environment, weather and wildlife. Camping: tents, wild camping, shelters, planning and packing. Navigation: using the sun and stars, maps, compasses and GPS. Fires and firelighting: quite simply all you need to know. Food: wild plants, foraging, fishing, backwoods cooking, outdoor ovens. Knots untangled: knots, lashings and pioneering projects. Safety and first aid: dealing with emergency situations.